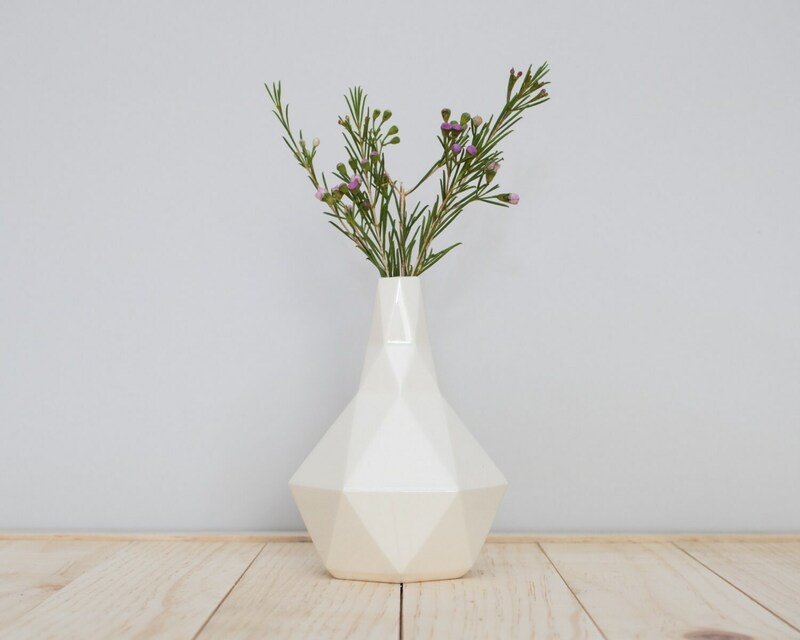 Our geometric bud vase was inspired by conical beaker glasses. We’ve always been inspired by science and math, which are the basis of the geometric shapes we use. The vase has a large hexagon base for stability and a small opening just perfect for one bud (or a few small ones). The vase is 3.5" wide and 5" tall. This vase has a clear glaze, showing the natural ivory color of the clay (so it's slightly off white in person).